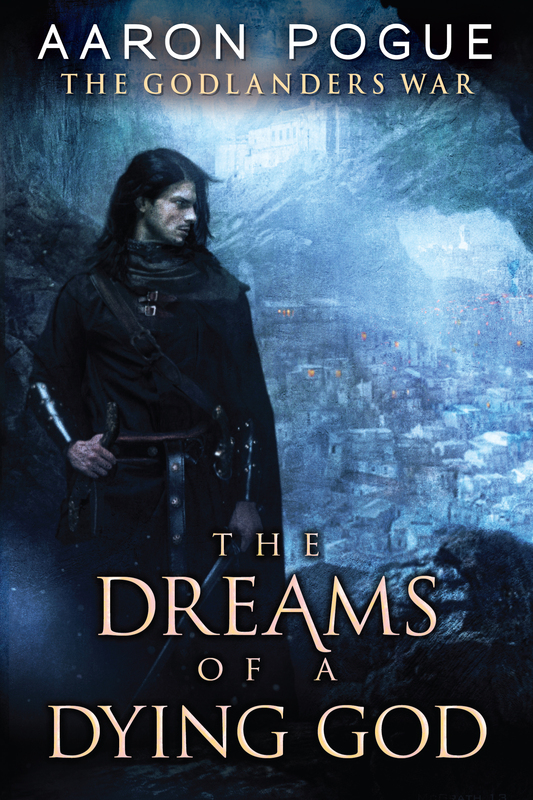 We’re proud to announce the full release of Oberon’s Dreams, the first book in a new adventure fantasy series by Aaron Pogue. After a three-year search, Corin has found the lost city of Jezeeli. The dashing, quick-witted pirate promised his crew that they would be rewarded with a treasure beyond their wildest dreams, but the ancient ruins hold no treasure—only stacks of strange books. Left to die in a fire set by his mutinous crew, Corin is mysteriously rescued and transported back in time to a city ruled by King Oberon. Only Oberon has the power to send Corin home. But the tyrant Ephitel–a brutal god whose name strikes fear even in Corin’s time–has designs on Oberon’s throne. Can Corin defeat the mighty Ephitel and change the course of history? 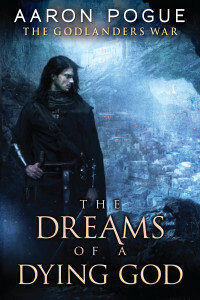 With a supporting cast of mystical druids, a gentleman thief, and a banished courtier from the House of Violets, Oberon’s Dreams is an action-packed, richly imagined adventure fantasy. 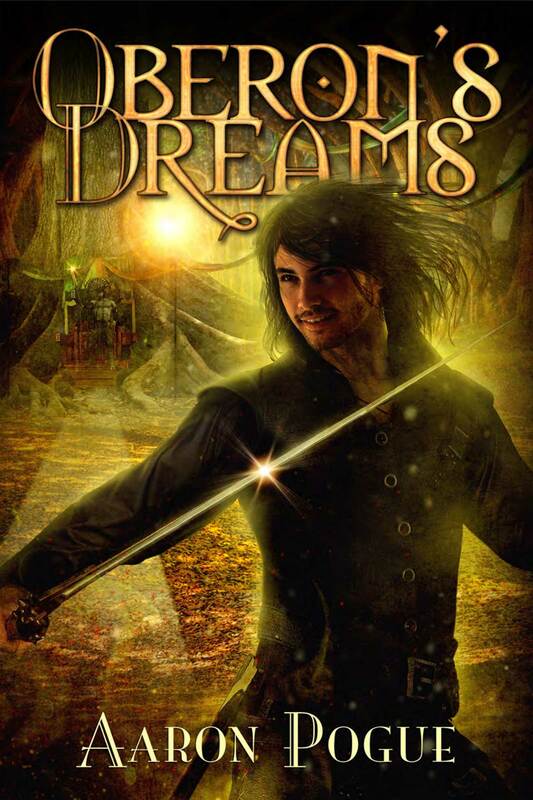 Oberon’s Dreams is the first book in the Godlanders War. Get your copy in ebook, audiobook, or paperback at Amazon.com. Consortium Books is proud to announce the digital release of The Original Dragonprince Trilogy, a collection by Aaron Pogue. The History-Making Trilogy In One Volume! Discover the breakout bestseller that thrilled a hundred thousand readers and launched an unknown author’s career. Aaron Pogue (Oberon’s Dreams) brings you the generations-spanning tale of Daven Dragonprince, a young man ready to pit his life, skill, wits, and magic against pure Chaos in order to save humanity…because no one else will. 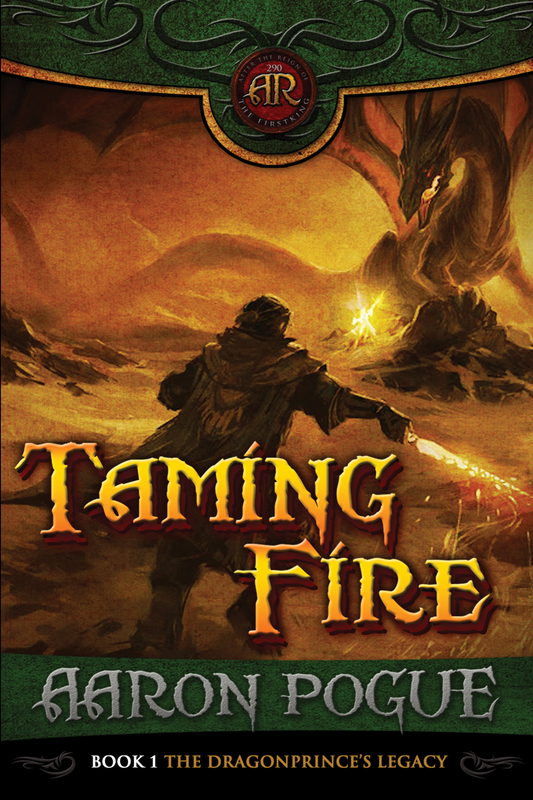 The first two volumes, Taming Fire and The Dragonswarm, tell how Daven rises from humble beginnings as a thief’s son, a beggar, and a shepherd to become a warlord feared by dragons and kings alike. 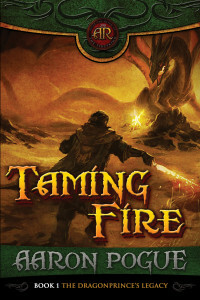 But in the third volume, The Dragonprince’s Heir, we’re introduced to Taryn, Daven’s son. With Daven missing for over a decade, only Taryn can stop a war that will leave the world his father saved in a shambles. There’s no better way to introduce yourself to the swashbuckling world of heroism, magic, danger, and dragons than this collection! Thrill for the first time or return to enjoy Daven’s stories all over again. Either way, you’ll enjoy a few choice extras such as a new afterword from the author and all three previous covers. The Dragonswarm looms and all civilization stands in the balance! Do you have the courage to stand with Daven and his heroic comrades against this world-smashing threat? 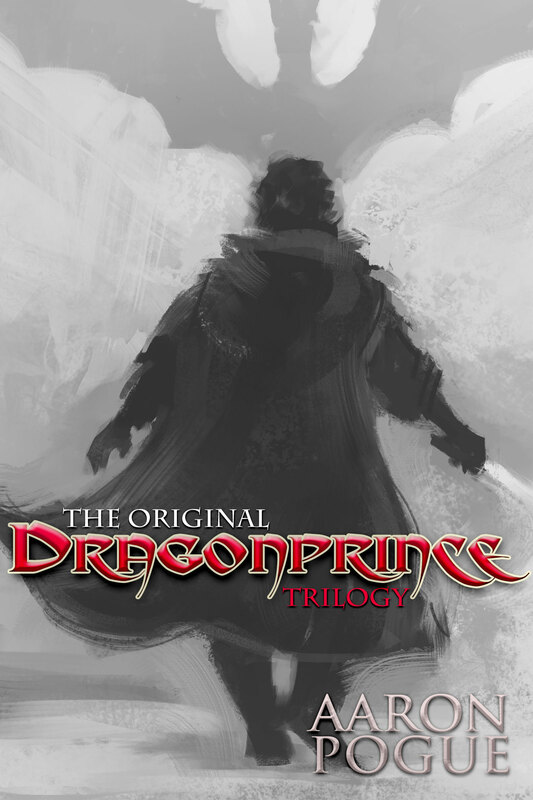 The Original Dragonprince Trilogy is a collection of books from The Dragonprince’s Legacy. Read more. 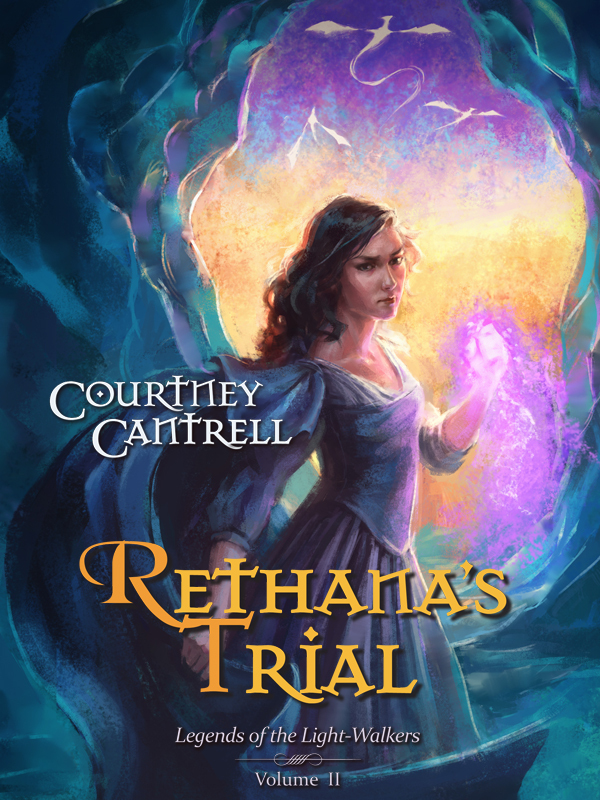 Consortium Books is proud to announce the digital release of Rethana’s Trial by Courtney Cantrell. In Rethana’s Surrender, the pulse-pounding opening novel of Legends of the Light-Walkers, the gathering of an army shattered Rethana Chosardal’s comfortable life and thrust her into the arms of one who could be either tormentor or savior. But just as she began to feel safe with the clerics who once hunted her family, new trials wrenched her from even this thin protection. Now unknown enemies have captured her and torn her from the side of her dying sister. Once again tossed on the waves of war with no safe harbor, Rethana has nowhere to turn. The elusive, nomadic Soldan claim her as part of their ancient prophecy to overthrow the malicious rule of an evil emperor. To entice her into their cause, the Soldan offer to feed her insatiable hunger for magical knowledge. Is Rethana willing to pay the price they ask? Before she can decide, another menace sweeps down from the icy north. Under the relentless scourge of the diabolical Skardi, it becomes clear that the petty civil war between Soldan and the clerics places the whole nation in peril. There is no hope but an alliance…if only either side would heed Rethana’s warnings. Rethana stands alone in the midst of trial and treachery, the powers of two great monarchs arrayed against her. Even the strength of the Warlord Allasin, her master and possible beloved, is out of reach. Abandoned by old friends, beset by new enemies, Rethana stands at the very heart of her homeland, forced to make her last stand. Though the fate of Rethana’s sister remains unknown and the whole world rests upon her shoulders, Rethana will bend but not break. Only this iron determination can see her through Rethana’s Trial. Rethana’s Trial is the second book in the Legends of the Light-Walkers. Read more. Consortium Books is looking for some partners in the social media sphere. If you’re a book reviewer, we could use your help. We would love to have 10-20 regular reviewers we can count on to share reviews of our titles. If you join our list of reviewers, we’ll provide advance reading copies of all our new releases. Consortium Books publishes 1-2 feature novels every month, mostly in speculative fiction and young adult genres. As an organization, we’re committed to producing books that are engaging, entertaining, and professionally polished. If you’d like to be part of this endeavor, contact us with your email address (and a link to your website if you have one). We would ask you to post your reviews at Amazon.com, Barnes & Noble, and Goodreads, as well as your own site and any other review sites you prefer. In exchange, we’ll provide you a steady supply of high-quality fiction. We’ll also maintain a list of our featured book review sites here. If you’re interested, apply now. Thanks for your support! 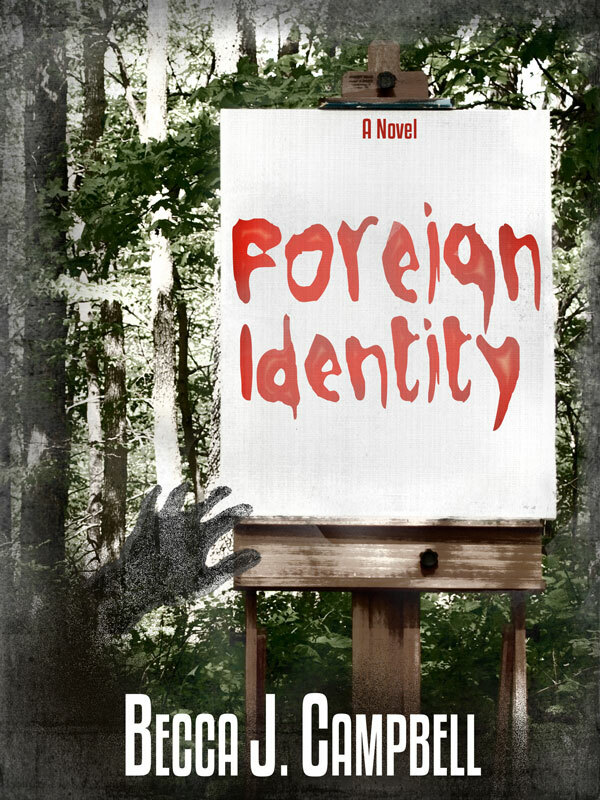 Consortium Books is proud to announce the release of Foreign Identity, by Becca J. Campbell. Cold. Confusion. Fear. This is how it all begins. Waking up without your memory in a cell and bound by chains is terrifying. Two nameless strangers, a man and a woman, find themselves imprisoned together. With no memories of their own identities, let alone their captor and tormentor, escape is the only option. The pair faces a bizarre labyrinth of rooms and clues that confuse more than they explain. Every discovery only brings more questions. Who captured them? Why were they taken? What does their captor want from them? What can the riddles mean? Lacking allies and options, the duo must learn to trust one another. Mazes, puzzles, and even strange, lurking creatures force them to rely on their wits–and each other–for survival. But survival isn’t enough. They need answers. Will the answers be enough? Will the truth bring them closer together, or drive them forever apart? Will discovering their identities finally bring them home? Get your digital copy at Amazon.com or Barnes and Noble for just $0.99, or order a paperback today! 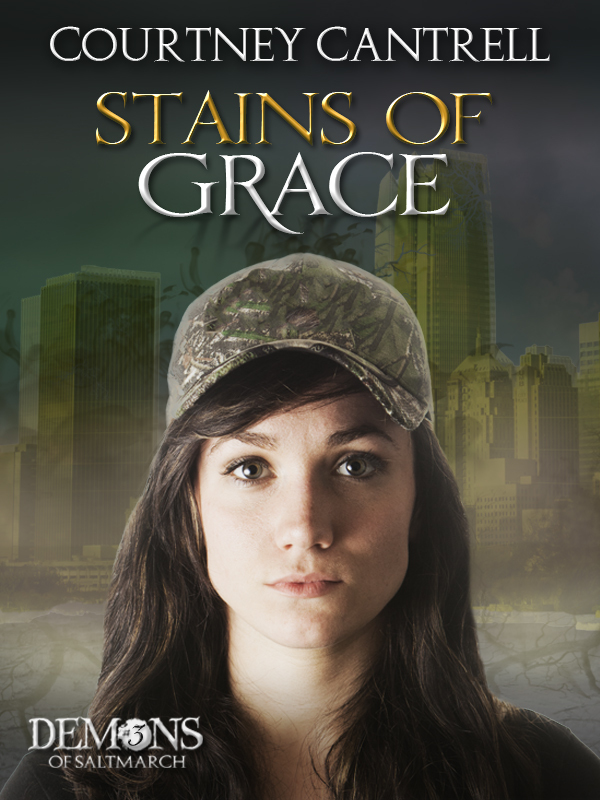 Consortium Books is proud to announce the digital release of Stains of Grace, by Courtney Cantrell. Anne Waylock thought she was safe. Safe from the madness of demons and the auguren who hunted them. Safe from her tumultuous feelings for the troubled Owin Moran. Safe from the pain of her best friend’s betrayal. Four months ago she ran away from it all, and she never planned on looking back.But when Legion, a mutant demon terrifying and dangerous even to other demons, appears in her new refuge, Anne finds herself forced to flee right back to the people she ran away from. As if Legion weren’t enough, a normal demon hunts Anne as well, ready to devour her body and soul. Peter, normally the voice of reason and sanity in the face of the supernatural, has broken with reality. The auguren themselves are confused and frightened of Legion’s power and the changes it has wrought. Even under guard from those trained and specially empowered by God to fight demons, safety is an illusion. To her growing horror, Anne realizes the only way to set earth, heaven, and hell right is another trip to the demon realm of Saltmarch. The dual threat of insidious demons and Anne’s own weakness leaves her wondering if redemption might be the most painful, and most dangerous, option of all. Get your digital copy at Amazon.com or Barnes and Noble for just $4.99! A paperback format is coming soon. 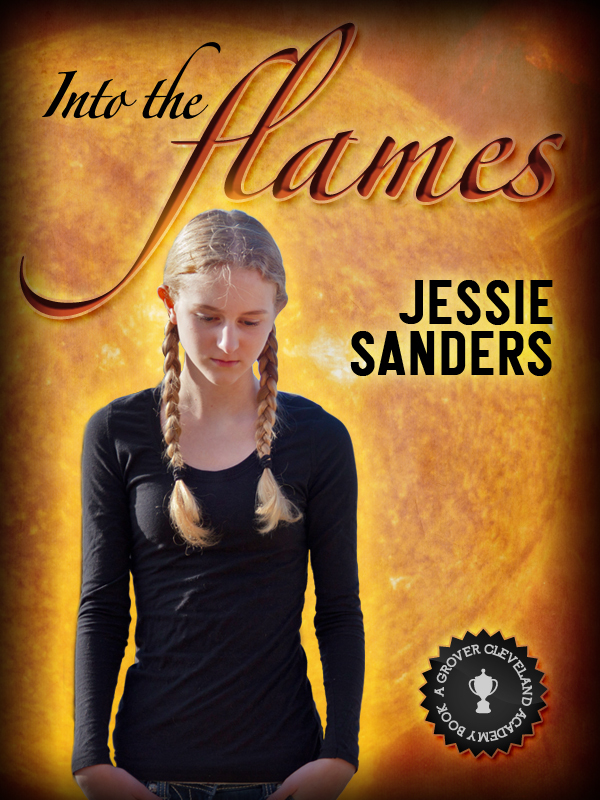 Consortium Books is proud to announce the digital release of Into the Flames, by Jessie Sanders. Rahab Carmichael is just like any other teenage girl starting out at a new boarding school. She’s all alone, a little lost, and she’s never been good at fitting in. Also, just like any normal girl, she has secrets, hopes, and fears she can’t share with anyone. Rahab is normal…the secrets and fears are anything but.Despite her anxiety, Rahab finds friends in Scout and Hawkins. Even though her new friends are social outcasts, Rahab feels a deeper connection with them than she’s ever felt before. But to know how deep, she’d have to risk revealing her own secrets. The idea of being that close to people fascinates her even as it terrifies her. Another development just as confusing surfaces for Rahab. Everywhere she turns, boys are either flirting with her or teasing her. And she doesn’t care for either option. 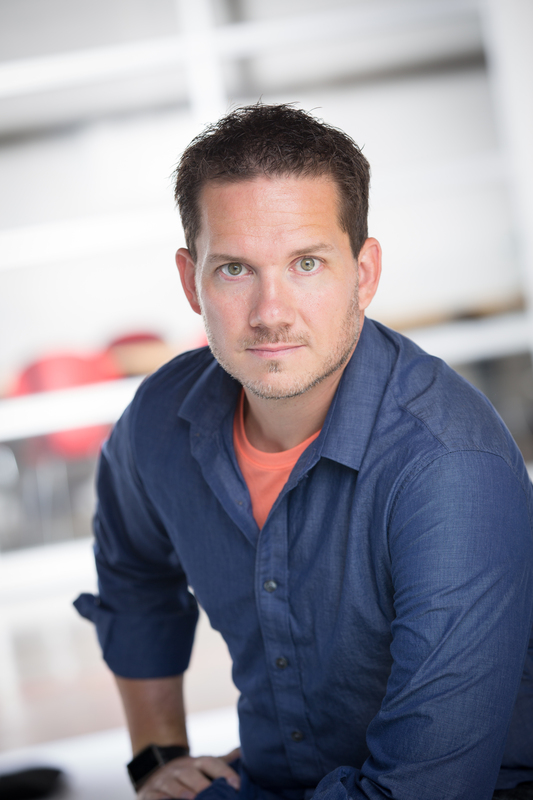 Worst of the bullies is John Madison, a jock who refuses to leave Rahab and her friends in peace. The bullying increases and the tension becomes unbearable, forcing Rahab to wrestle with whether or not she has the strength to stand up to John. The only way Rahab can protect her friends is to reveal her uncanny secrets and face her greatest fear. What will she find when she looks into the flames? 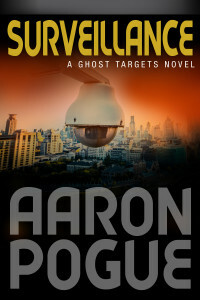 Get your digital copy at Amazon.com or Barnes and Noble for just $2.99! A paperback format is coming soon. 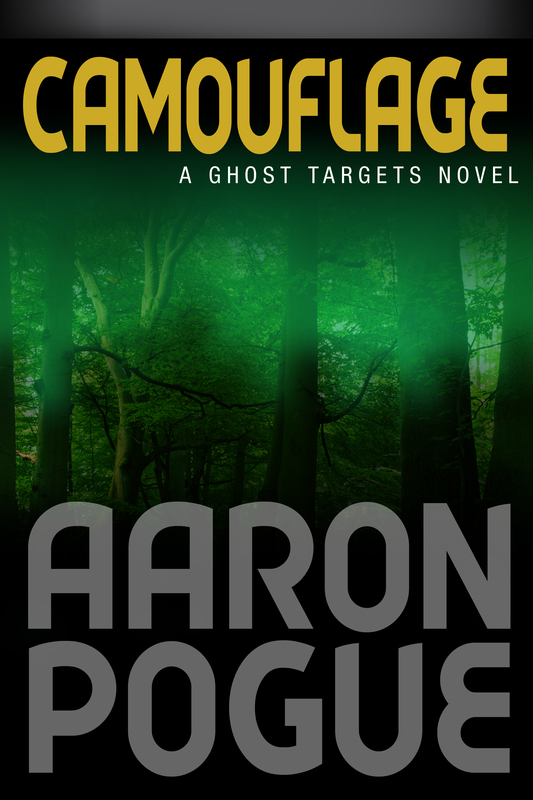 Consortium Books is proud to announce the release of Camouflage, the fourth novel in the Ghost Targets series by Aaron Pogue. We abandoned privacy and turned databases into something like gods. They listened to our prayers. They met our needs and blessed us with new riches. They watched over us, protected us, and punished the wicked. We almost made a paradise. But there were still places the system could not see. Heading into the high mountains and deep woods was like stepping back in time, to an era where archives were incomplete and untrustworthy. Now a new threat has taken root in the cracks, threatening to expand the already dangerous gaps. 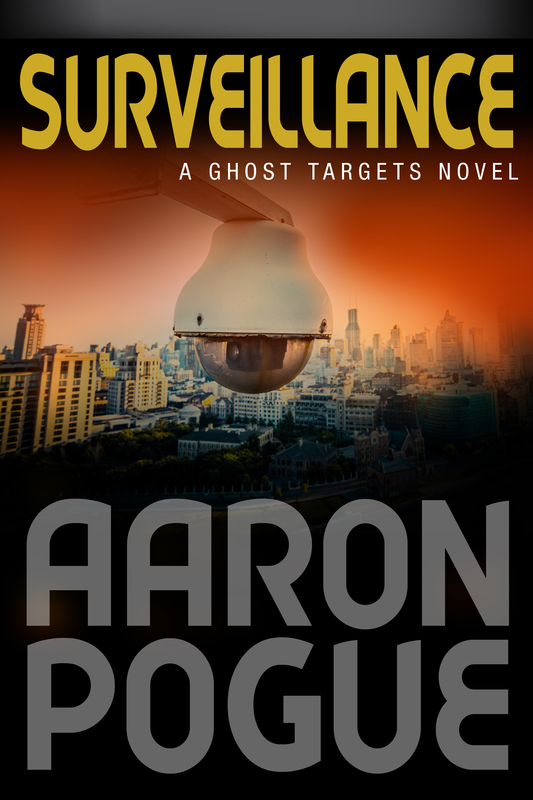 Somewhere in remote West Virginia, where the databases’ all-seeing eye sometimes falters, a sheriff is murdered and only the FBI’s Ghost Targets team can track down the killers. Saddled with a new partner she doesn’t trust, Katie Pratt finds herself in a town whose archive is as full of holes as the people are full of mistrust for federal agents. Trapped in a community of petty criminals, Katie becomes the hunted. Now this city girl must fight to survive in a wilderness without Hathor. Learn more about this title and order your copy today!